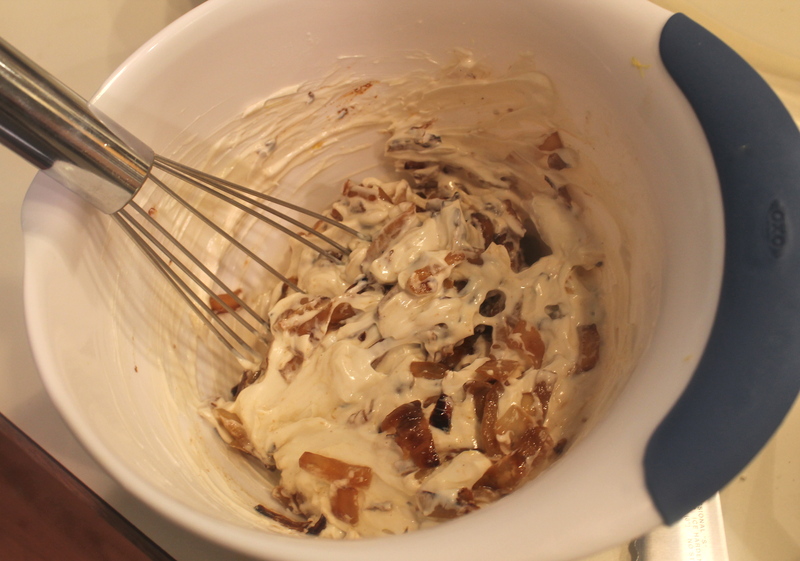 ~~ Good job- now add the cooled caramelized onions and mix well. Back to the refrigerator for at least one hour. Slice onion into rings, then cut rings in half, and in half again. 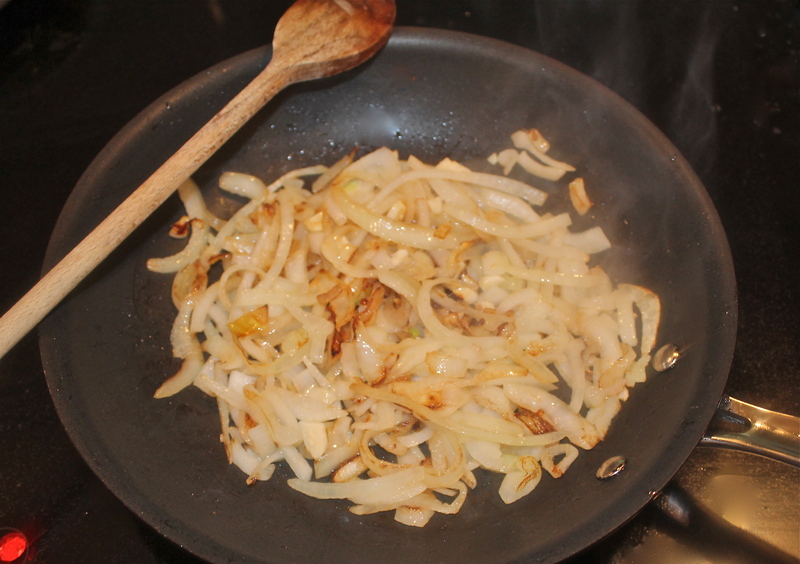 Add olive oil and butter to pan; add onion rings and chopped garlic and sauté just until they start to caramelize. Turn down stove to medium low and cook for about 20 minutes till nicely caramelized but not black. 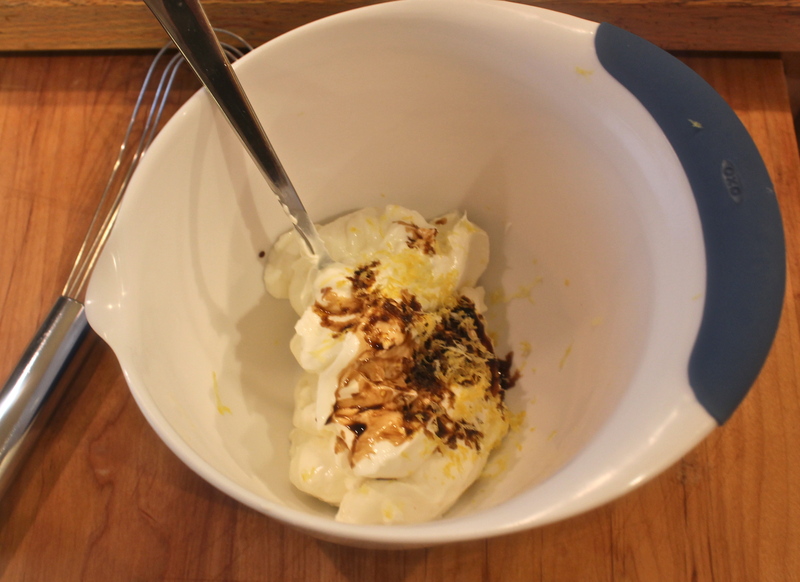 In a bowl add sour cream, yogurt, balsamic vinegar, salt, zest, and tabasco sauce. Mix well. Once the onions are cooled add them to the dip and refrigerate for at least one hour for flavors to blend. The longer you refrigerate the tastier the dip. 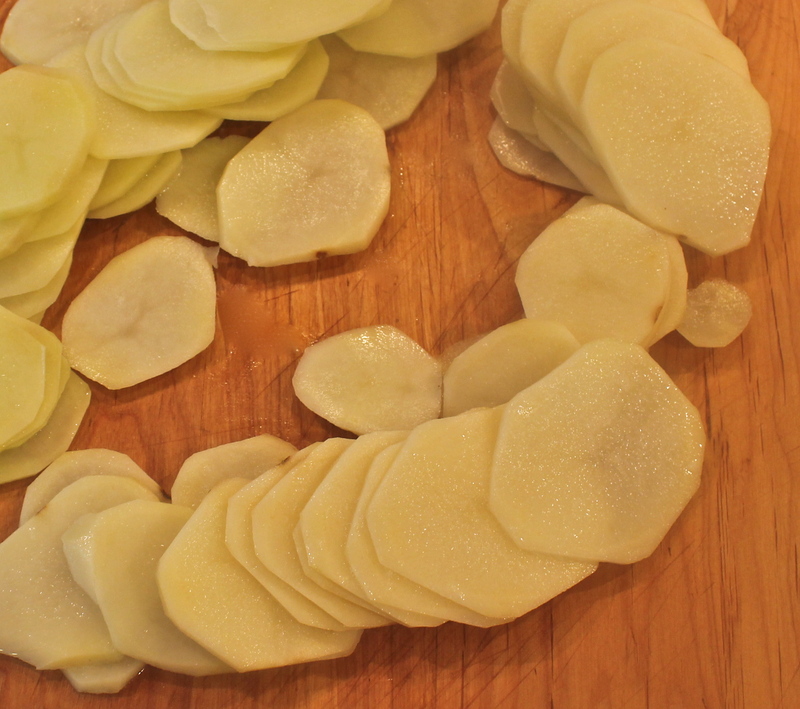 Slice 3 russet potatoes into very thin slices. Blot the moistness from the slices and drop them into a pan that you have heated on high with vegetable oil. 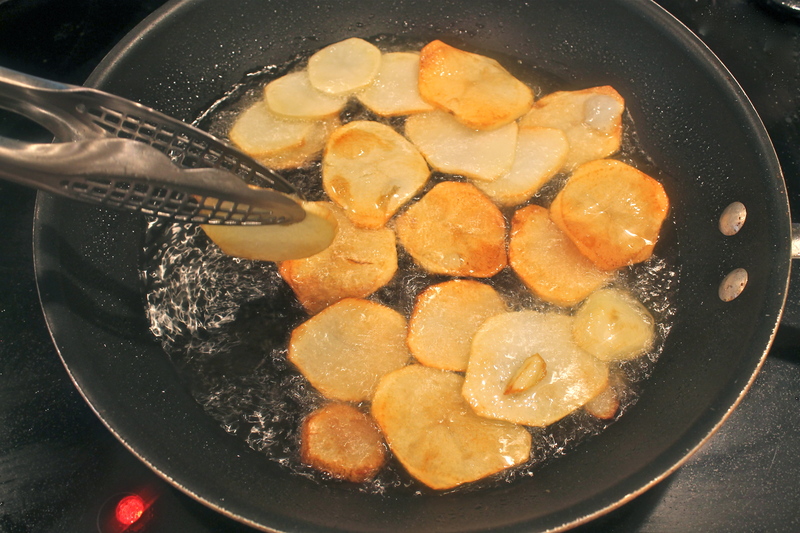 Fry and turn the chips as they start to brown. Line a cookie sheet with paper towels and place the cooked chips onto the paper and blot them. Sprinkle salt and parsley while hot. 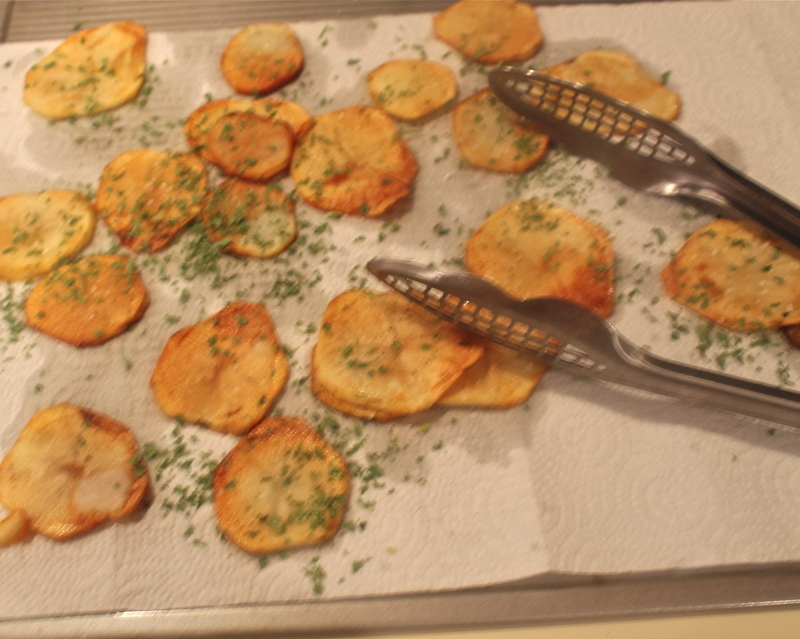 Place the Cottage Fried Parsley Chips on a serving plate. Spoon the dip into a brightly colored bowl and set it on the plate of chips. Serve while the chips are hot, as they will lose their crispness the longer they sit around. This dip is easy to make, full of fresh lively flavors with the creaminess of sour cream and yogurt. Enjoy! Love your homemade dip and chips. Brilliant, and so much better than anything you can buy at the store. Thanks Suzanne – agree homemade is better than store bought! Oh you made your own chips too! How divine! You are so right about homemade being better for you than store bought. You have made me crave this snack and it is only 6:00 am! I may have to actually try this one out! Thanks for the lovely comment Liz! Oh yum! 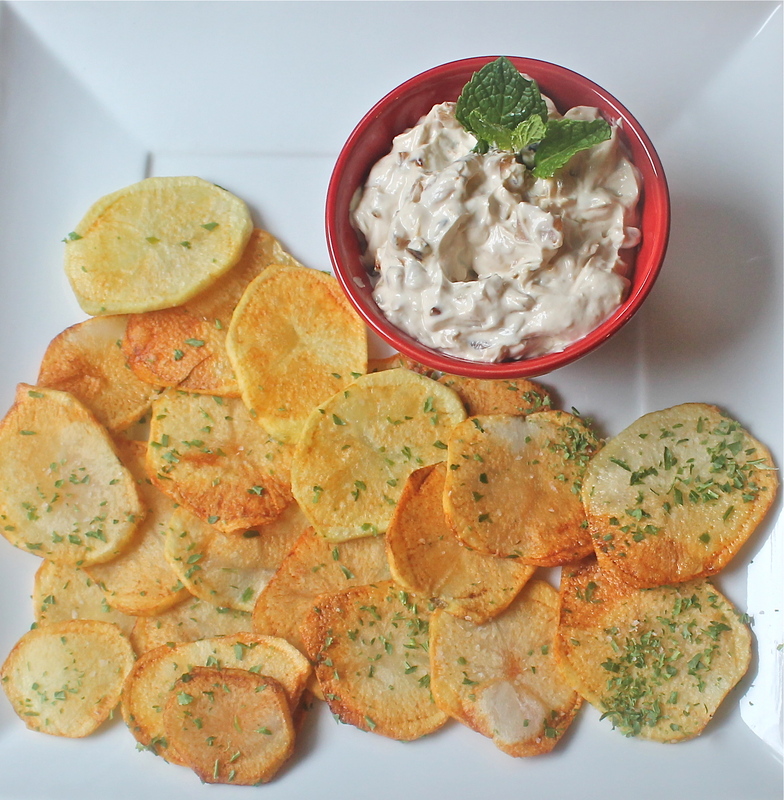 I love onion dip but never have thought of making my own. Can’t wait to try this! Thanks Anna! It is really quick to make, just need a bit of time to let it chill and all the flavors blend. Hope you like it. Yes, this definitely tastes better than from the store, but have been guilty too on the store bought stuff. Thanks for the lovely comment Sarah! That dip looks insanely good. Yum! Thanks – the dip was very tasty! Your Coeur a la Creme looks divine – I bought the proper pan years ago but haven’t attempted it yet. These look so fun! thanks.